Whether you want a new socket, are worried about the safety of your home or are considering building an extension / rewiring K R Electrical can cater for all your electrical wiring requirements. With extensive experience of working for commercial customers, we know how important it is to have a reliable electrical contractor. So whether it is a call out, refurbishment, upgrade or advice you can rely on us. We aim to offer a complete range of services for industrial / commercial customers from general electrical installation to supplying and fitting generators. No more do you have to manually control your home or office lighting with several switches. Today’s modern home and workplace relies on intelligent lighting, which allows you to manage all of the lights in your home or office from a single interface. The misuse of electrical appliances, plugs, connectors and flexes claims nearly 30 lives in the UK each year. Electrical burns, shocks, arcing, fire and explosion are all major dangers to health from electrical accidents. We are well placed to carry out electrical installations across the Cotswolds and surrounding areas including Broadway, Burford, Charlbury, Cheltenham, Chipping Campden, Chipping Norton, Evesham, Moreton in Marsh, Northleach, Shipston on Stour, Stow on the Wold and Wychwoods. 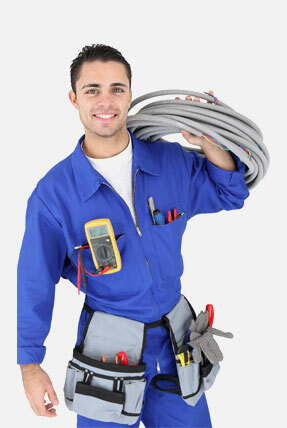 We have been established since 1976 making us one of the most experienced electrical contractors in the area. Click here to read our full company profile. We aim to go beyond the normal call of duty and hope to build strong, long-lasting relationships with our clients. This friendly, hands-on approach means that each electrical job is tailored to meet individual requirements on every aspect of the project. All of our work is carried out to the highest standards and we pride ourselves on being big enough to deliver and small enough to care. We aim to always provide quality workmanship and a dependable service. Please visit our testimonials page to see a selection of our customer feedback.